Medical billing companies face an enormous challenge to keep their claim processing tight. Often, the claims rejection rate touches an alarming level when the healthcare facility, irrespective of the size, does not streamline their revenue cycle management. Claim rejection has become such a recurring phenomenon that the medical organizations wear out their resources and still could not make the expected profit. Thus, the health system operations do not provide the same leeway today, as it did a decade back. However, the future will not be gloomy, if taken the right approach and correct strategies. You must be in touch with a few private insurance companies other than the government payors. The commercial payors amount to around 35% of the total hospital's revenue. Thus, an established process with the payor would ease out any fallouts in the future. Collaborate with them to understand their work process and create your care delivery model likewise. One of the most important healthcare regulatory standards that necessitate the standardization of medical codes is HIPAA and safeguard the privacy, security, and confidentiality of the patient's health information. And as a healthcare provider, it is your duty to stick to HIPAA's protocols and guidelines strictly. Interoperability is one of the most important ways hospitals can increase. The healthcare facility has multiple domains and subdomains, that is why interconnectivity is necessary to remove the blockades and establish connections between departments and medical billing companies. Managing denials, tracking claims, tax IDs, etc. are a few cumbersome tasks. And your team must have hands-on experience in working with HIPAA, Medicare, and Medicaid regulations. Thus, to avoid denials and rejections, your team of medical billers and coders must have robust medical billing software. Outsourcing your billing to an expert medical billing & coding service provider can reduce the overheads. You will have a healthy bottom-line with a significant reduction in the volume of claims denial. Data analytics can minimize the inaccuracies and find the root problems, improve transparency, initiate precision medicine, etc. You can start by collating the historical data of the hospital, and then, use statistical, analytical and mathematical tools to derive at a conclusion. The hospitals provide primary care, outpatient surgery, and other services. Medical billing companies, with their accurate billing and decoding, can ramp up the whole scenario. It can help save a significant amount of time and considerably reduce the gap between the emergency and operating room. If you have a lackluster patient information management, then you can rely on automated solutions to save costs and lighten the workload. Data analytics help a lot in identifying if a certain group, race, or age have more risks of readmission, then, identify the common issues and focus on getting a robust healthcare insurance plan. Invest some time and resources to boost the revenue of the hospitals. If at present you do not have the bandwidth to dig deeper into the granular level of the healthcare revenue cycle, then do not worry. Consider partnering up with an expert medical billing and services provider. If you are working with a physician, it is highly unlikely that you will have to alleviate the cost due to fluctuations in the market. Supply costs can reduce to a much larger extent if you can sort the relationships with your physician. Cost saving should not be your only motto on how to ensure your medical practice stays profitable. The healthcare sector is slowly moving towards revenue generation over saving a few dollars. It can decrease the cut time to file a claim and successfully allocate the resources. Thus, as the world is getting more and more globalized, revenue generation should be your one of the top metrics to improve hospital revenue cycle ROI. Population health management system is simply the delivery of best-in-class medical care with the lowest amount of money cost. You can leverage the health management programs to find out the volume of patients and identify with comparable clinical settings and apply evidence-based interventions and treatment protocols. If you want to maximize your organization's revenue, train your employees regularly to keep them updated on the latest trends and best practices. A well-trained employee can massively affect the total return on investments. A trained employee can also multi-task. He/she can run your medical billing work efficiently. If your business demands more substructures in future, you should be ready, both in terms of manpower and capital resource, to scale-up the surging service demands. If, unable to do so, then, a tie-up with a third-party vendor who can spike their service on a need basis. As a healthcare professional you must thoroughly check the above decisive points elucidating the few ways medical companies increase profitability in 2019, as investing in the revenue cycle can be the most important management decisions. 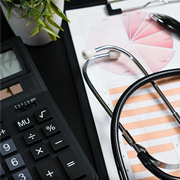 Although each medical organization is different and implements their own methods, tools, and operations, you should leverage the expertise of a professional medical billing service provider that has the expertise and wherewithal to provide you with the necessary attributes to excel in the competitive market today. At Outsource2india, we have collaborated with multiple medical billing companies to help them process claims and make the billing and coding process hassle-free. As our customer, you can be assured of steadfast, streamlined, and precise processing of your billing and coding operations. Our workstations are equipped with modern technologies, including Big Data, Artificial Intelligence, Deep Learning, and Machine Learning power our workstation. We can build individual solutions and personalized services based on your niche needs. Get in touch with us for a free assessment and know how we can become your partner of choice in the field of medical billing and coding.